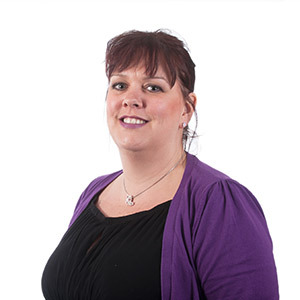 Birchall Blackburn Law > Blog > How can I make my divorce an amicable one? Going through a divorce can be a difficult and confusing time. Gillian Graveson, family law partner at Birchall Blackburn Law looks at how alternative dispute resolution can make the process easier. It’s very rare for couples to find themselves going through a straightforward divorce. Disagreements regularly arise over splitting financial assets, child maintenance and division of marital belongings. Alternative dispute resolution can be a cheaper and less time-consuming method of settling disagreements without going straight to court. It also offers the opportunity for separating couples to be more amenable when working towards a settlement. Many married couples choose to live apart from one another and remain married. A lot like divorce, a legal separation known as Judicial Separation involves the same process of filing papers and having the court make the same legal decisions about the children and assets. But at the end of this process both parties are legally separated, still married but not necessarily responsible for each other. This method allows couples that are in marital dispute to work together with both their collaboratively trained lawyers in a positive, results driven setting. The collaborative process requires both spouses to commit to resolving all divorce related issues. The divorcing couple and their solicitors meet in a neutral setting for the negotiation process. All present parties – including the solicitors – can openly, and indeed are expected, to participate in the discussion. Third parties, such as accountants, can be brought into those meetings to assist negotiations. When an agreement has been reached the divorcing couple will enter into a written agreement that is then presented to the court to finalise the divorce and the divorce arrangements. Mediation involves an independent third party, known as a mediator, meeting with you and your ex-partner to identify issues of dispute. Mediators are trained to help resolve these differences in an effort to avoid conflict. Family mediators will act impartially. They are unable to offer either party any advice as their role is to facilitate discussion. Arbitration can be a more formal and structured process than mediation and collaborative. During the process of arbitration, the divorcing couple present arguments and evidence to an independent third party, the arbitrator, who then makes a binding decision. The process can be useful when looking at issues that are technical or when both parties are looking for more anonymity than court offers. Although it can be an alternative to court, it’s a voluntary process and both parties need to agree to adhere to the arbitrator’s decision. The decision to divorce or separate can be a difficult and emotional one. At Birchall Blackburn Law our specialist family team will guide you through the legal process with compassion and sensitivity.